Whiplash is one of those injuries that you can’t ignore. If you try, you’ll just end up causing yourself more pain. For many people suffering from whiplash, it’s not a matter of whether they get help, it’s a matter of when and where. At the St. Paul Chiropractic and Natural Medicine Center, we want to make sure that if you’re suffering from whiplash, you get the best possible treatment available. That means a natural whiplash relief treatment that leaves your entire body feeling better, whether your whiplash injury has affected one area of your body or several. Through whiplash chiropractic adjustments and massage therapy, our St. Paul, Minnesota whiplash relief experts will have you back to your daily routines in no time. 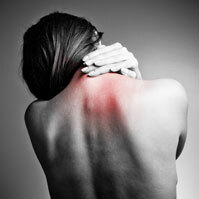 As chiropractors, we often utilize spinal adjustments to complete the majority of patients’ whiplash treatment. Because of the nature of whiplash, chiropractic adjustments are a perfect technique to realign the body from the neck down. Whiplash can literally throw your body out of alignment, shifting vertebrae in your back and neck and causing issues throughout your entire body, including slipped discs, pinched nerves, muscle tension, head pain, numbness, and more. All of this can often be eliminated with slight adjustments. In addition to spinal adjustments, we also offer patients whiplash massage therapy, which helps to heal the areas of your body affected by whiplash by relieving muscular and nervous tension, improving circulation, reducing inflammation, and more. In addition to actually treating whiplash symptoms, massage can help to increase the effectiveness of chiropractic adjustments in some patients, helping you heal faster! When you’ve sustained a whiplash injury, chances are good you’re hurting in at least one area of your body, and putting off treatment can mean letting that pain grow, spread to other areas of your body, or last much longer than it should. At the St. Paul Chiropractic and Natural Medicine Center, we believe in the power of holistic, natural healing, which means you don’t have to worry about taking medication or undergoing any invasive procedures to heal. Contact our St. Paul, MN whiplash doctors today at 651-644-7207 or info@stpaulnaturalhealth.com, and find out how we can help you find whiplash relief, naturally.